There is no lack of information available about the institutional investment strategies of the world's billionaires -- how they move money in their capacity as the heads of large public companies and investment funds -- but how often do you get the chance to look inside the personal investments of those billionaires? And how often does a billionaire offer you insights that you can use in your investing? Warren Buffett did just that with his annual letter to the shareholders of Berkshire Hathaway (BRK-A), which he sent late last month. In it, he highlighted two personal investments in an area he is not normally associated with -- real estate. He talked at length about a 400-acre farm he bought in Nebraska and a retail property purchased near New York University and in the process provided a number of lessons for anyone thinking about investing in real estate. Here are five takeaways from the letter and Buffett's words supporting each. In 1993, I made another small investment. Larry Silverstein, Salomon's landlord when I was the company's CEO, told me about a New York retail property adjacent to NYU that the Resolution Trust Corp. was selling. Again, a bubble had popped –- this one involving commercial real estate –- and the RTC had been created to dispose of the assets of failed savings institutions whose optimistic lending practices had fueled the folly. With my two small investments, I thought only of what the properties would produce and cared not at all about their daily valuations. Games are won by players who focus on the playing field –- not by those whose eyes are glued to the scoreboard. Here, too, the analysis was simple. As had been the case with the farm, the unleveraged current yield from the property was about 10%. But the property had been undermanaged by the RTC, and its income would increase when several vacant stores were leased. Even more important, the largest tenant – who occupied around 20% of the project's space – was paying rent of about $5 per foot, whereas other tenants averaged $70. The expiration of this bargain lease in nine years was certain to provide a major boost to earnings. I knew nothing about operating a farm. But I have a son who loves farming and I learned from him both how many bushels of corn and soybeans the farm would produce and what the operating expenses would be. I joined a small group, including Larry and my friend Fred Rose, that purchased the parcel. Fred was an experienced, high-grade real estate investor who, with his family, would manage the property. And manage it they did. As old leases expired, earnings tripled. Annual distributions now exceed 35% of our original equity investment. Moreover, our original mortgage was refinanced in 1996 and again in 1999, moves that allowed several special distributions totaling more than 150% of what we had invested. I've yet to view the property. My two purchases were made in 1986 and 1993. What the economy, interest rates, or the stock market might do in the years immediately following –- 1987 and 1994 -– was of no importance to me in making those investments. I can't remember what the headlines or pundits were saying at the time. Whatever the chatter, corn would keep growing in Nebraska and students would flock to NYU. 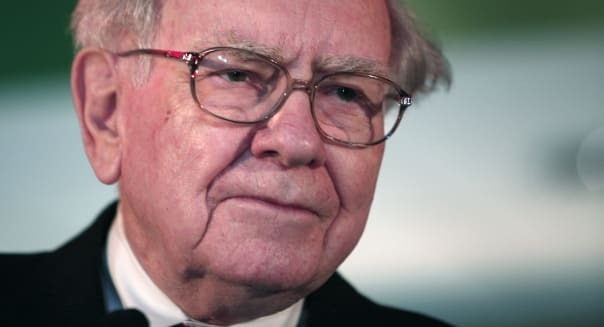 Perhaps unsurprisingly, Buffett's philosophy on investing in individual companies is similar to the one he applies to investing in real estate. Find investments that produce income, have long-term value prospects not currently being recognized by the market, and, once you buy them, increase their operational and managerial efficiencies to maximize recurring revenue. These are ideas that you don't need to be a billionaire to understand, nor to put them into practice in your own portfolio.